In Norwegian class yesterday, we were handed a print-out of an article about parents who “step off the throne” of raising their children and instead become servants and do everything to please their spoiled children. It’s funny how she would bring this up, because I have just planned, in detail, how I’d like to raise my kids. I mean, obviously there will with great possibility that it won’t happen exactly this way. 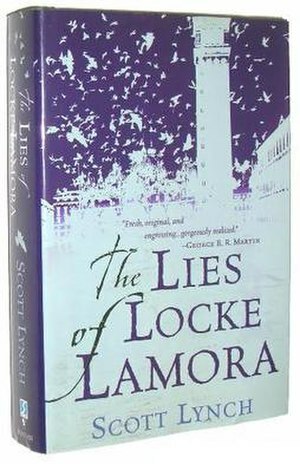 Have anyone read The Lies of Locke Lamora, by Scott Lynch? With like the Gentlemen Bastards and all? For those who have (and this will be no spoiler to those to who haven’t), ever noticed Chains, the Eyeless Priest or Perelandro? I’m sure you have, because he is quite essential, but did you ever notice how he raises Locke, Calo, Galdo, and Jean? Probably also Sabetha, but she didn’t appear in this book for some reason, so we know too little of her. Anyway, the way he raised them; calm, strong, tough, fair, loving. That’s how I want to do it. Tough raising, with learning to cook at an early age, be proper, learn to handle different types of people, different aged people, different situations. Learn to read and write preferably before school, learn multiple languages. And of course, respect. It sounds tough, and it is, but it will be done calmly, with a cool head at all times, and with love and fairness. And here this article goes on about how au pairs in Norway have seen the Norwegian kids – spoiled, disrespectful, and “Princess”. Bossy, demanding, wining. It keeps talking about how parents dismiss themselves from the task of raising their kids, and instead become buddies, and so leave the raising to kindergartens and schools. It’s true though, we see many cases of spoiled kids like this, just take a look at the show, Nanny 911, ever seen that? I mean, I know that’s extreme, and that it’s not even a speck of sand in this world, but still. Fewer and fewer people seem to have respect. Like just look from what your parents told you (if you are my age) and what grandparents told you about their raising. I’m not saying there were no bullies and that they never did anything wrong, but it was mostly bullying (and I’m certainly not saying it’s right to bully) on a level with their age, not demanding and bossing their parents around. They seemed to have more respect for parents and grown-ups in general. Does anyone see what I mean? If anyone has any thoughts around this, please, do share. I’d love to hear your views.